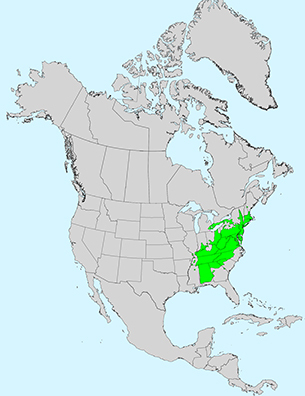 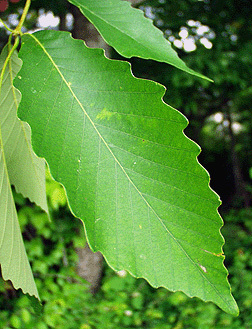 Leaf:Alternate, simple, 4 to 6 inches long, obovate to elliptical in shape with a crenate margin, shiny green above and paler below. 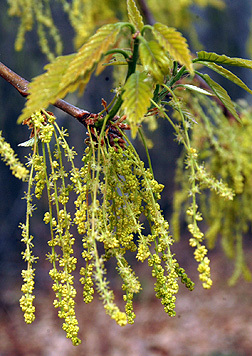 Flower:Species is monoecious; male flowers are yellow-green, borne in naked catkins, 2 to 4 inches long; female flowers are reddish and appear as single spikes, appearing with the leaves in mid-spring. 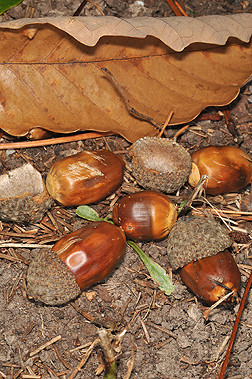 Fruit:Acorns are 1 to 1 1/2 inches long, ovoid in shape and separate from the cap when mature; cap is thin, warty and shaped like a teacup, edges of cap are very thin; matures in one growing season, ripening in the fall. 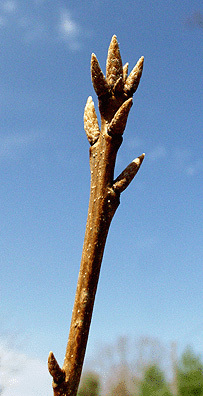 Twig:Medium textured, lacking hair, orange-brown or grayish in color with chestnut brown multiple terminal buds that are pointed, narrowly conical and quite long. 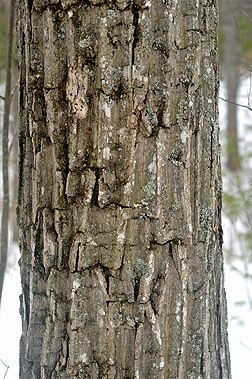 Bark:Gray-brown to brown, very smooth when young; developing hard and wide flat-topped ridges which later become thicker and more sharply pointed ridges; somewhat resembling the back of an alligator or ridge tops. 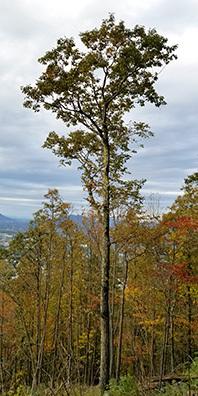 Form:A medium sized tree to 80 feet tall that on better sites will develop a straight trunk and narrow crown; on drier ridge tops it is much smaller with a crooked stem.